Averaging just under 1,600 square feet, these large 3 bedroom and 3 bathroom townhomes are highly sought after whenever they become available. Average sale prices at Millstone are currently in the mid to high $200,000’s. Call or email for current availability and pricing. 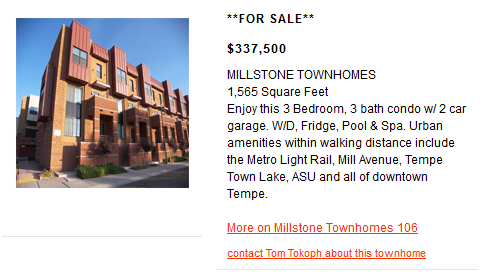 Click here to see listings at Millstone and other Downtown Tempe properties. 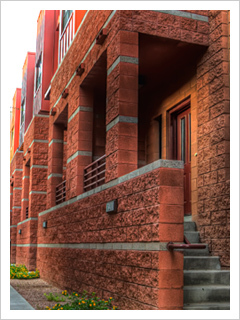 If you are considering selling your Downtown Tempe condo, use the services of the Downtown Tempe specialist. Created by city people, for city people, urban living is not only our specialty, it’s our passion!Feature your property on MillstoneTownhomes.com — ask us how.